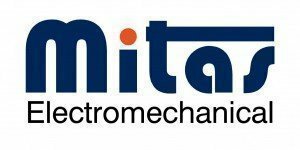 Mitas Generators Ltd was founded in 1998 embarking on a unique endeavor of becoming the sole dedicated Middle East power generators manufacturer as well as Africa power generators manufacturer. Moving ahead with the aim of expanding our business even further, Mitas power generators began exporting electrical power generating sets in 2001 and has since been active in this field with exports to North Africa and the Middle East. Mitas Power Generators is the name you can trust for all of your electrical power needs. Offering complete electrical power generating solutions of durable power generators, for homeowners as well as professionals, Mitas Power Generators integrates its reliable, easy-to-start and use power generators engine technology with the technologically advanced equipment design to ensure premium performance of our power generators for the most demanding solutions. n line with our vision of establishing ourselves as one of the quality Middle East power generators manufacturer as well as in the whole region, our continuous investment in electrical power generators technology research and development, we have begun our further expansion with the construction of a brand new Middle East power generators factory with a covered area of over 6000 sq.m. Fully equipped with CNC machines, our new Middle East power generators factory, expected to begin its operation in 2012.